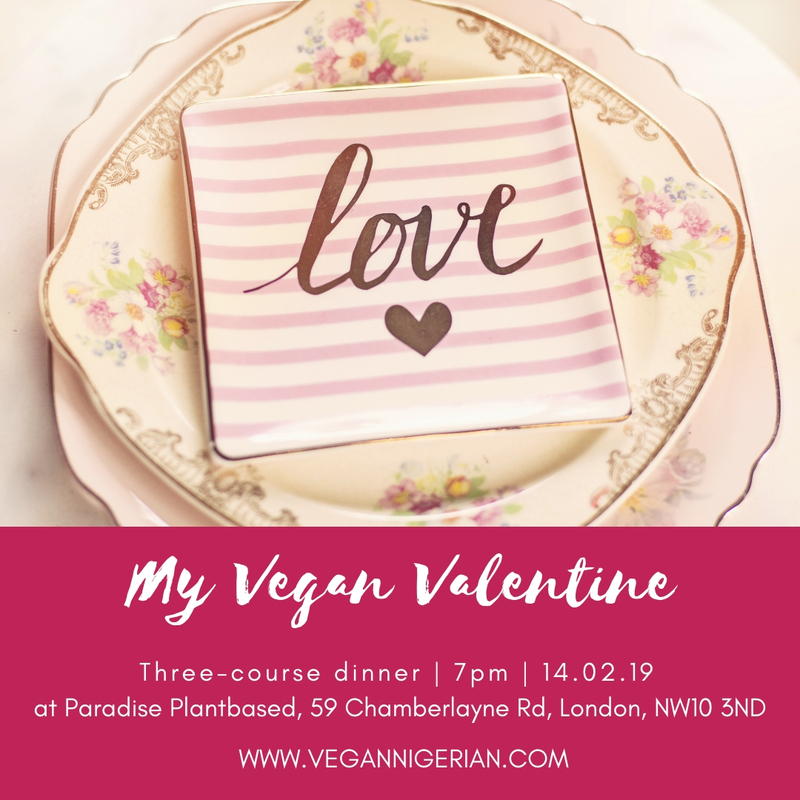 Love is in the air at The Vegan Nigerian HQ as I prepare to host a Valentine's Day three-course vegan dinner. My very first pop-up event of the year! I'm looking forward to welcoming couples and individuals who want to enjoy a delicious meal in a delightful setting. Whether you come as a couple, as best friends, or simply wanting to treat yourself (because why ever not!) I'm sure you'll have an amazing experience. Book your spot and join me on Thursday 14th February at Paradise Plantbased. Doors open at 7pm and dinner will commence shortly afterwards. If you have any questions, feel free to drop me an email or leave a comment below!